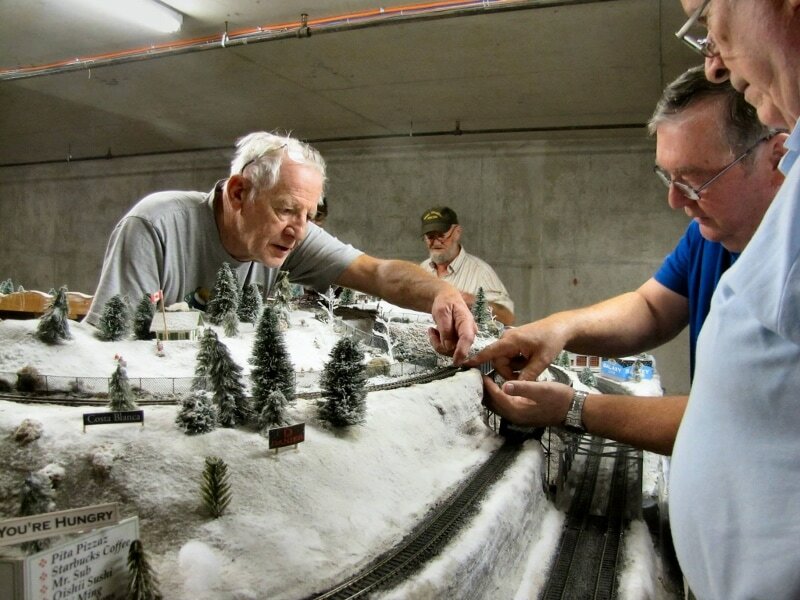 The Belleville Model Railroad Club was formed in 1972 by a group of railroad enthusiasts and retired railroad employees. This group met in various locations and members’ homes. ​​In 1992 the club was reformed with a Board of Officers, a Constitution and Bylaws, and in 2010, the club moved to its current location. Now is an great time to learn or use modeling skills! We ask prospective new members to visit us for three evenings, at no cost. If you like what you see, pay a prorated fee, valid until the next September. A Christmas layout was also built for the Quinte Mall Merchants Association and is setup every December in the mall. We continue this tradition, maintaining and operating the mall display every year. We are a self-sustaining club through membership fees, and proceeds from our annual show, open houses and other fund-raising activities. 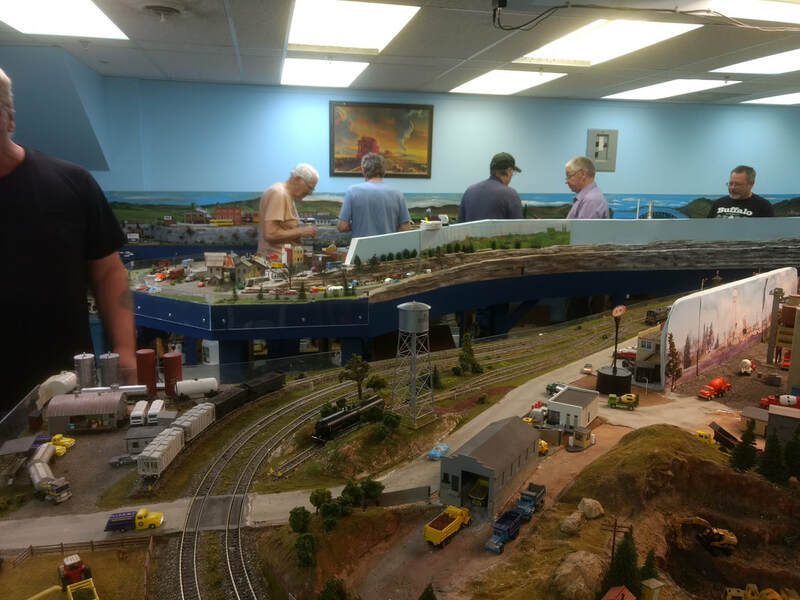 This club was formed to provide an opportunity to promote the hobby of model railroading and enjoying fellowship among ourselves. Operating night, May 22, 21018. 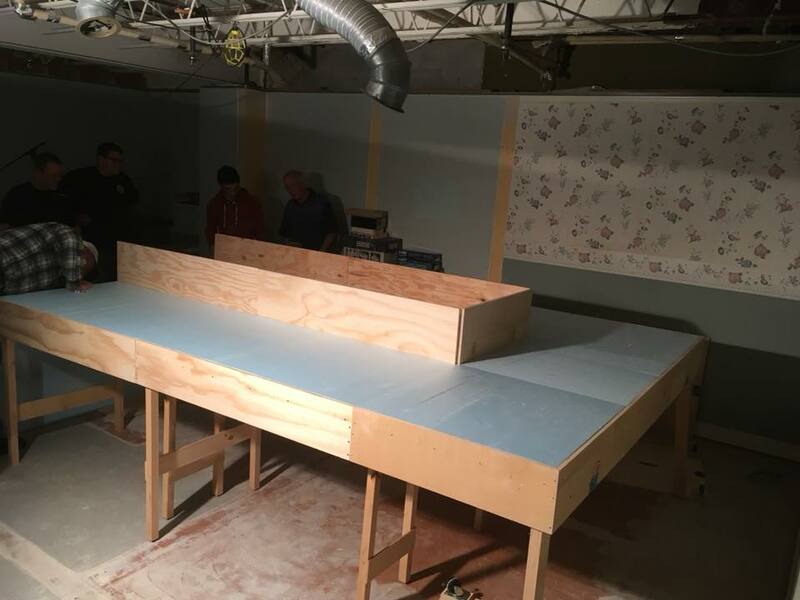 We are in the process of building a large operating layout. When it is complete it will have 6 station, lots of turnouts, hundreds of working lights, and over 200 feet of mainline track. But we need more hands to to help build it! Come join us every Tuesday night from 7:00 p.m. to 9:30 p.m. We alternate between a “Running Night” or a “Work Night.” Currently we have an “Operating Night” on third Tuesday of the month. See the contact page for details on our address. The Club layout operates Digitrax DCC for both mobile and stationary decoders. An 8 amp command station and 5 amp booster provide the track power. This is sub-divided into 8 power districts for short protection. Multiple DS-64's (stationary decoder) give both local and dispatcher control of all turnouts on the main line. 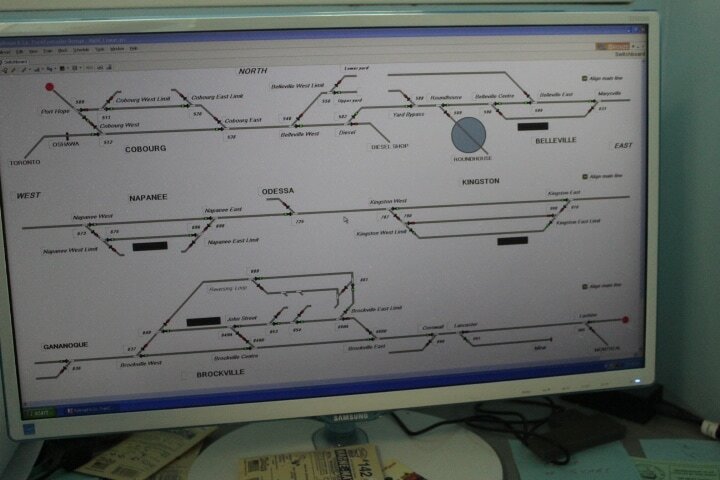 Train Controller Bronze is the software used by our dispatcher to align routes for trains during Operating sessions. 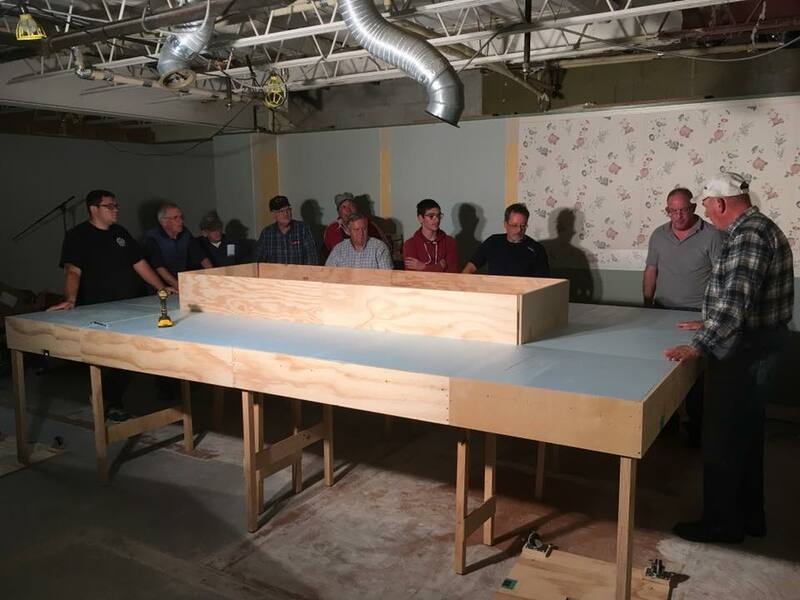 The new modules revealed to the Club on Tuesday October 2 - very exciting! Our club attends approximately five out-of-town shows, and our own Quinte show in December. We are currently building a new travelling layout. As well, we have a 4x6 foot portable children's layout for smaller events. 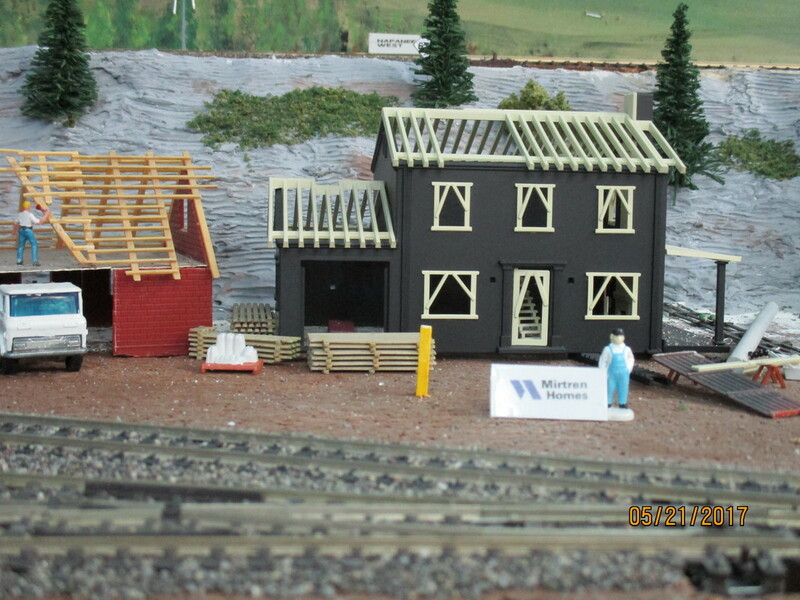 We also have a small wooden layout for toddlers.